Superb undertaking from Dalton Watson. The binding is excellent, but the contents are overwhelming. I must confess that I am an Italiophile, so I have a natural interest in this subject, but the automobiles illustrated are ones that you will never see in a local Cars & Coffee, nor in a typical regional car show. In fact, this book is the only place where you are likely ever to see some of these beautiful works of art. Many of the illustrated cars never received much attention from contemporary journalists, and few have received coverage in more recent years. 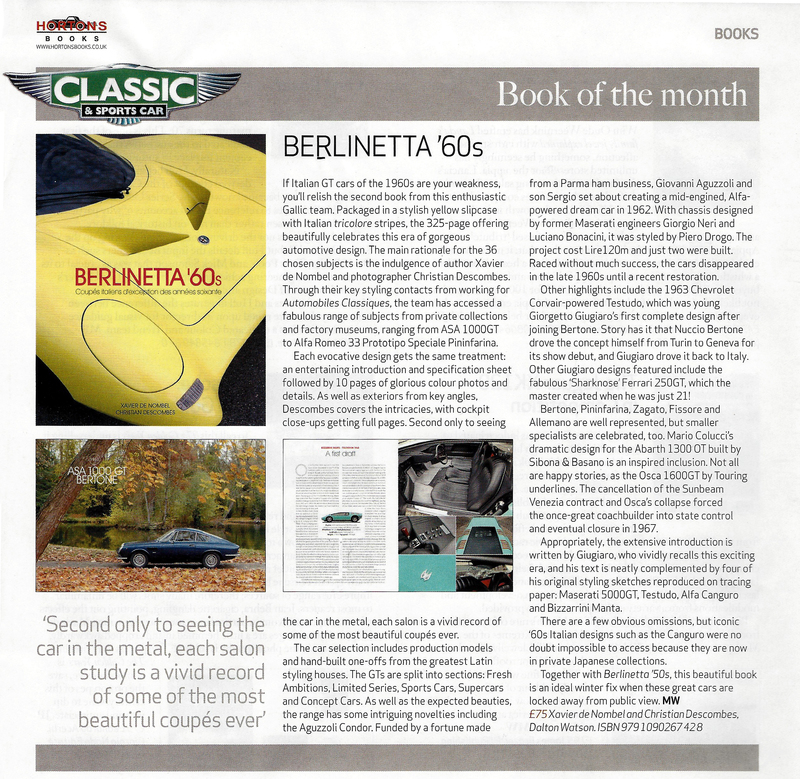 Similar to the earlier volume "Berlinetta "50s" by the same authors the photography is superb. Technical data are limited, but this is really a photo-fest, and a very satisfying one. Unfortunately, the Italian Carrozzeria were in decline by the 1960s, so there may not be a Berlinetta 70s. Lets hope that we are surprised. Not inexpensive, but outstanding value considering the quality of the publication.